MiniDis and sistercompany Totaldesk are Lenovo Silverpartner and specialised in delivering ready to run datacenter solutions. We have many years of expertise in building durable and state of art datacenters. We deliver private clouds in highly virtualised environments, combined solution portfolios, storage networks and are consulted on a regular basis for enterprise grade datacenter grade network and server solutions. 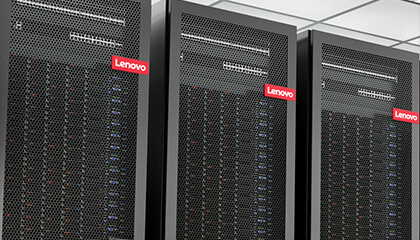 Together with Lenovo Datacenter engineers we have made a selection ready to use datacenter building blocks based on latest server and storage solutions. Below is just a subset of completely delivered and ready to use solutions for High density virtualisation or secure SAAS solutions. These are proven configurations which are 100% supported and Guaranteed by Totaldesk and Lenovo Datacenter Consultants.